Today, The Forager reports on a gritty diner promised for Hindley Street, an enterprising orchardist making award-winning perry, coffee in the city, cooking courses and more. 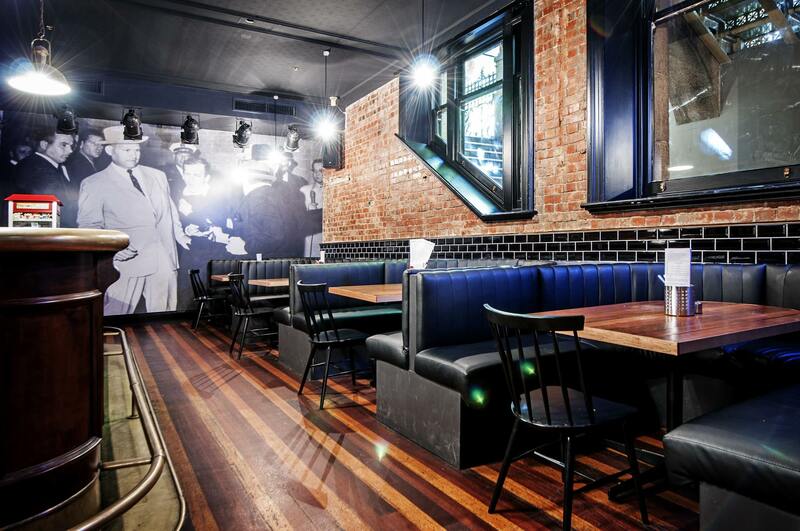 Adelaide’s two recent obsessions – street food and small bars – continue, with the smart crew behind the Jack Ruby bar set to open a “hotdogs and beer” joint on Hindley Street. Jack Ruby, in its basement setting on King William Street, has embraced American street and diner food, with Philly cheese steak, KFQ (Kentucky fried quail), Cobb salad, tacos and sliders all regulars on the menu. Jack Ruby’s Gareth Lewis tells The Forager that the new venture – to be called Downtown HDCB – will continue the American diner/dive bar theme. To be located in the heart of Hindley Street (in what was most recently a shop and long before that an alleged “house of ill repute”), the bar’s name has shades of the street’s past. Downtown, those of a certain age will remember, was a much-loved Hindley Street pinball joint and roller skating rink, with its heyday in the 1980s. The HDCB bit refers to “hotdogs and cold beer”. Unlike some other traders who have shied away from the Hindley Street reputation, Downtown HDCB will work with the nightclub strip’s vibe. “It’s a little bit of a nod to the old Hindley Street,” Lewis says. The bar, which the owners plan to operate under the Government’s new small venue licence, will be open for lunch, dinner and late into the evening, serving a rotating hotdog menu and other diner-style food. Lewis and his partners, who also run the Kings Head, hope to open at the end of October. The lads are also considering another restaurant venture in the city, again utilising the advantages of the small venue licence. Damian McArdle’s family have been growing pears at beautiful Paracombe for more than 80 years – and now he’s using the sweet fruit to create small batches of award-winning perry. 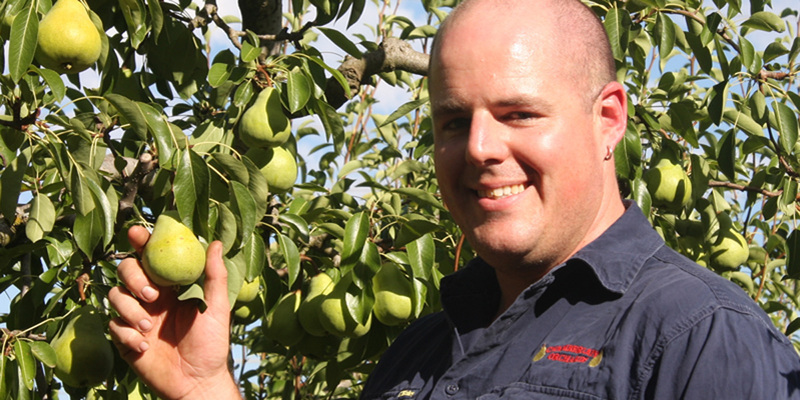 The fourth-generation pear grower began crushing the fruit to make the pear version of cider as a bit of fun with a mate. He entered his perry into the Gawler Show and, spurred on by repeated success, began exploring a more serious venture. Then, with the support of an Ag Bureau of South Australia Peter Olsen Fellowship for Young Farmers, McArdle was able to travel to Europe this year and study his craft in Europe and the UK – the home of cider and perry-making. McArdle is now selling his Paracombe Premium Perry online and with a stall at the Adelaide Showgrounds Farmers’ Market. Damian McArdle at his family’s Paracombe orchard. His product – made in small batches of 200 litres – contains 100 per cent pear juice (no added water), from tree-ripened fruit, all sourced from the orchard started by his great-grandfather in 1932. “Perrys are few and far between in Australia – everyone’s making apple cider,” McArdle told The Forager. His products include the original style “Perfect 5”, the semi-dry “Eighty 4”, and the sweet “Berg”. McArdle is an excellent example of a primary producer adding value to his crop – a strength recognised with his Peter Olsen Fellowship. As reported by The Forager several weeks ago, Glen Osmond Road coffee champs Bar 9 have opened a city outlet – and it’s already going off. 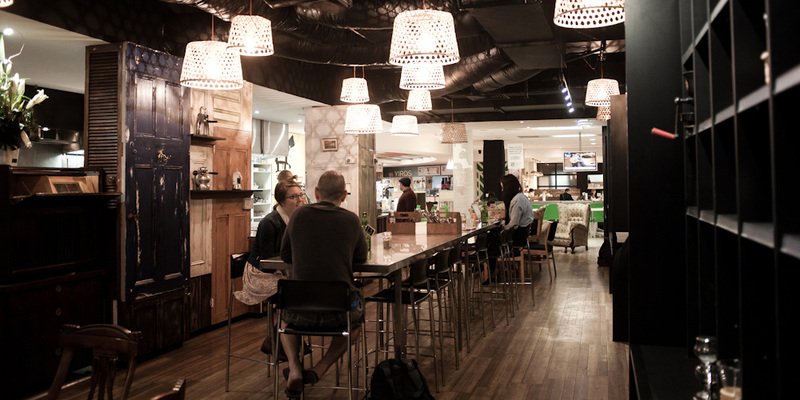 Bar 9 Central is located in the basement food court beneath David Jones, and it’s a welcome oasis of excellent coffee, great tea, comfy couches and tasty food. They’ve been opening from 9-5, but are pondering opening at 8am so customers can get in before work for breakfast and coffee. NOT everyone loves fresh asparagus, but for those who do, now’s the time to get into it. Spring is the time for the local product – at every other time of the year you’re likely to be eating the product of Queensland or Peru. Riverland asparagus – in good volumes – can be found at the Adelaide Showgrounds Farmers Market. THE State Government has released an action plan for premium food and wine. The Forager finds it disappointingly bureaucratic and broad brush, but an accompanying list of projects and milestones adds a little more meat on the bone. A NEW batch of TAFE cooking courses are coming up, and a modern Mexican course has taken The Forager’s eye. The course promises to teach participants about hand-made salsas, tamales, and a run-down on the many varieties of chilies. Do you have a local food story to tell? Email us at indaily@solsticemedia.com.au, including your full name.